In some ways, the Porsche 911 Carrera 2.7 RS can be considered as the originator of the widebody neunelfer, gaining flared rear arches to enable Porsche to widen the track and improve performance on the road and track. This would be a trait continued on the 3.0-litre Rennsport developed the following year in 1974. However, the widebody concept didn’t truly come into being until after the introduction of the original 911 Turbo, first in 3.0-litre form (from 1975-77) and then 3.3-litre guise (from 1978-89). 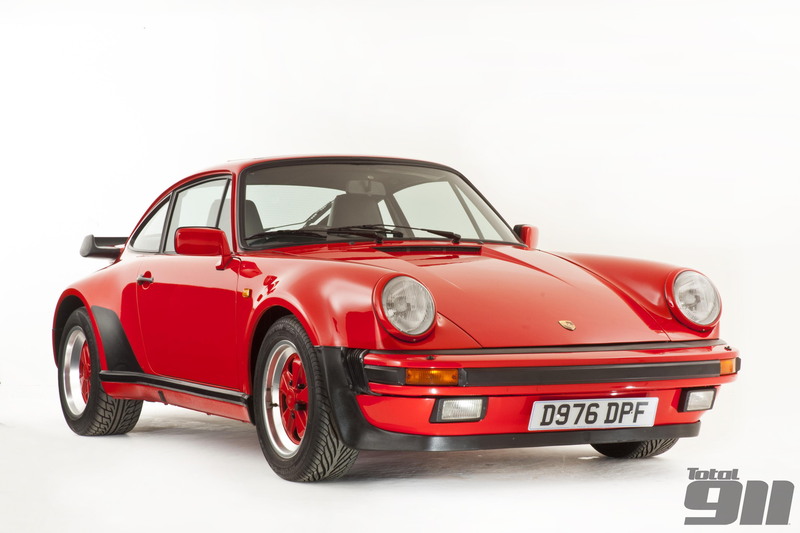 The Turbo-look 911 had been born, complete with 930-imitating tea tray rear wing and wider rear Fuchs wheels. When the 3.2 Speedster was launched in 1989, the widebody version accounted for 1,932 of the 2,103 sold. With the introduction of the Porsche 964 at the end of the Eighties, the Turbo-look Porsche 911 took a bit of a back seat with only a handful of widebody 964 Speedster built, though there was a run of nearly 900 Porsche 964 Anniversary models, 174 964 Carrera 4s with factory widebodies and a Turbo-look C2 Cabriolet in 1992. Widebody popularity was renewed with the introduction of the Porsche 993 generation however, with both the Carrera 4S (using a number of Turbo components, such as suspension and brakes) and the 993 Carrera 2S cementing the Turbo-look 911’s place in people’s minds. The 996 was the last generation of Porsche 911 where the widebody Carrera 4S model (complete with Turbo front bumper and widened hips) was a special edition with both 997.1 and 997.2 versions of Carrera 4 and Carrera 4S sharing the same width body shell as the Porsche 997 Turbo. No longer solely imitating Turbos, this marked a turning point for widebody 911s. Today the widebody is used as a differentiator between the narrow-shelled Carrera 2 models and Porsche’s four-wheel drive Carreras (although it has also been used on all Carrera GTS models on both the 997.2 and 991 platforms). With the 991 Turbo getting an even wider bodyshell than the Carrera 4 models, the Turbo-look neunelfer looks to have finally died out. However, there is still on model that utilises the Turbo’s body (complete with rear arch intake vents): the 991 GT3 RS, bringing the widebody philosophy full circle. For more historical online features, check out our full selection of ‘Porsche 911 history’ articles now. And you can vote for your favourite widebody Porsche 911 in our latest poll now.